The Veterans Resource Center (VRC) at Gavilan College provides resources and services for student veterans. 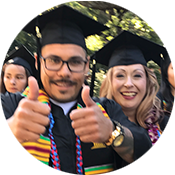 The center is staffed by student veterans who are committed to helping other veterans manage the transition from military service to the college campus setting. The VRC provides a warm and welcoming place for veterans to connect with one another and learn about available campus services. Come by and see us in Library 109. We are here to help you succeed! Complete VA Application for Education Benefits, VA Form 22.1990 at http://vabenefits.vba.va.gov/vonapp/main.asp. Veterans: Keep a copy of your DD-214 on hand to enter correct service dates. Dependents: Have the Social Security number of the parent who served time in the Armed Forces. If you are transferring from another school, complete VA Form 22-1995 at http://vabenefits.vba.va.gov/vonapp/main.asp. This form is only used if you are transferring from another school where your educational benefits were used. Apply to Gavilan College at www.gavilan.edu/admit. If you are flagged for non-residency, please talk to a Veteran Counselor as you may be eligible for a waiver. IMPORTANT – Once you have applied to college, you will receive an email with your G00-number and password. DO NOT LOSE this email. Take assessment tests for Math, English, and Reading. Make an appointment at www.gavilan.edu/admit/assess.html. Can provide assessment scores dated within the last 5 years from another college. 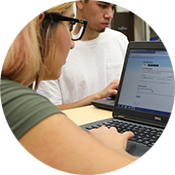 Can provide transcripts w/ English and Math classes completed with a “C” or better. Order official transcripts from all colleges you have attended. Include any colleges you attended before, during, or after your military service. You may bring in official transcripts with you as long as they remain in a sealed envelope. Once approved for VA educational benefits the VA will send you a Certificate of Eligibility. Bring this letter to the financial aid office. Attend Orientation, either online or in person. Go to www.gavilan.edu/orientation for more information. This is required before you can see a counselor. Schedule an appointment with a Counselor at www.gavilan.edu/counseling. You may also schedule an in-person counseling appointment by calling 408-848-4767. Once the above steps have been completed, a counselor will evaluate your course work and assist you in mapping out an Education Plan that will clearly define your education goals. You must have an Education Plan to receive VA education benefits. Go to my.gavilan.edu and sign in with your G00 number and password. Submit your Request for Certification to VA Certifying Official. Ensure your Education Plan is up to date. Complete the FAFSA (Free Application for Federal Student Aid) at www.fafsa.ed.gov. Veterans may be entitled to financial aid and fee waivers in addition to their GI Bill. Stop by the Financial Aid office for assistance. First time on campus? Be sure to visit the veterans in the Veterans Resource Center in Library 109 to fast-track a path to success! 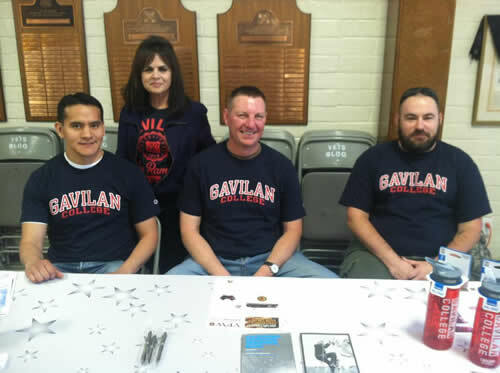 Meet other student veterans - join the Gavilan Student Veterans Club. The club is dedicated to helping our veterans find fellowship, understanding, direction and support services during their academic career. If your family is on public assistance, you may qualify for CalWORKS. If you face both economic and education challenges, you may qualify for EOPS. If you are a current or former foster youth, you may qualify for Foster Youth Services.